Here’s a fun card for Mom at Mother’s Day. It can be made for Grandmas, or other Mother’s you think are fabulous. It’s also a great activity for students to do in class, to take home to their Moms. Fold your paper in half. 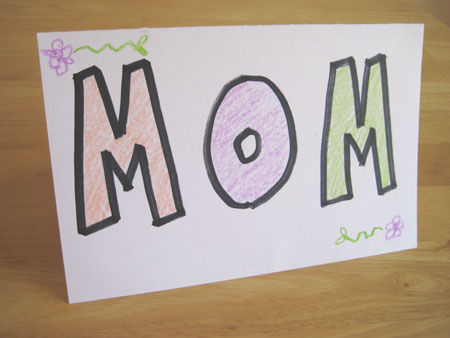 Write the word MOM at the bottom of a paper, cardstock paper would work best. 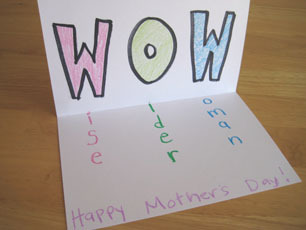 Then open up the card and trace over the same “MOM” letters on the inside. 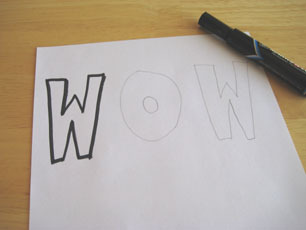 It will form the word “WOW” at the top. Mom’s won’t expect to see the trick word on the inside. 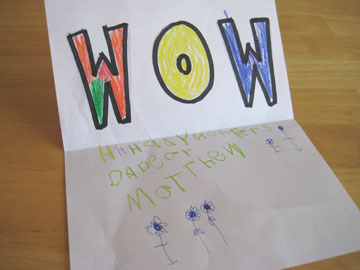 When they open up the card and see the word “WOW”, they’ll feel wonderful! I also like to spell words with the letters W O W too. Like Wise Older Woman, Wacky OriginalWatcher, Wildly Offroad Wonderer, or Wonderful Omniferous Woman (omniferous means bearing everything).